A good reminder no matter what your goal may be. 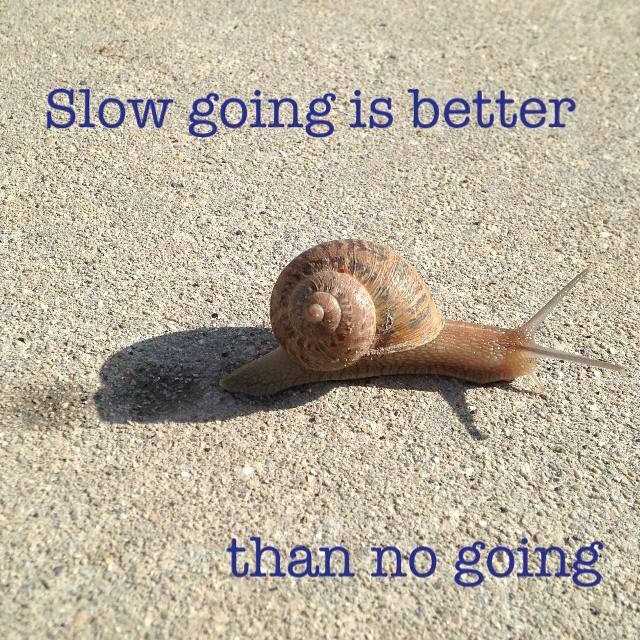 Progress is progress, even if it feels like you are moving at a sail’s pace. I am especially reminded of this when I try to go hiking. Due to my heart condition, I have to go slowly so my heart doesn’t race. Even some of the simplest of hikes now get my heart pounding… but I can still do them as long as I just keep on going slowly! And it’s always lovely at the top, even if it takes longer to get there.